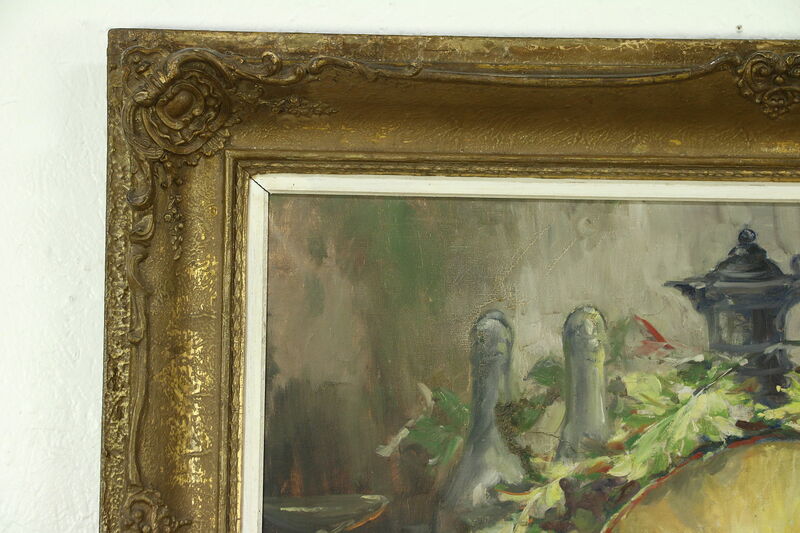 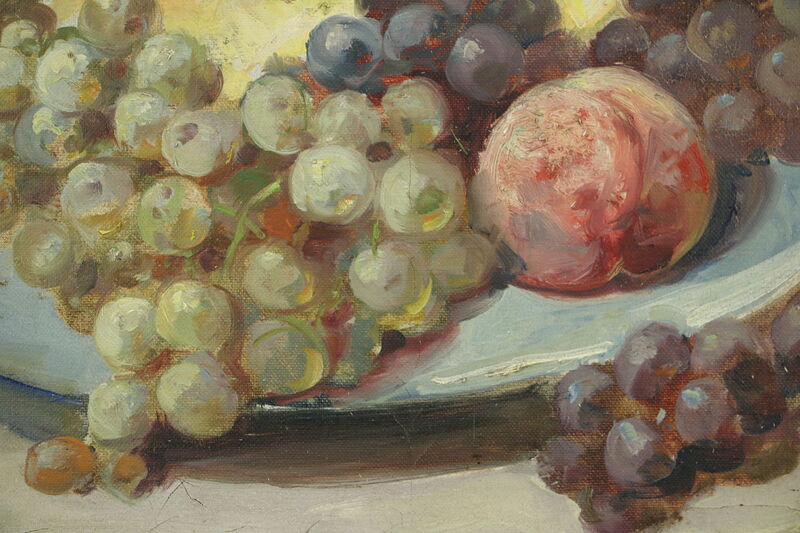 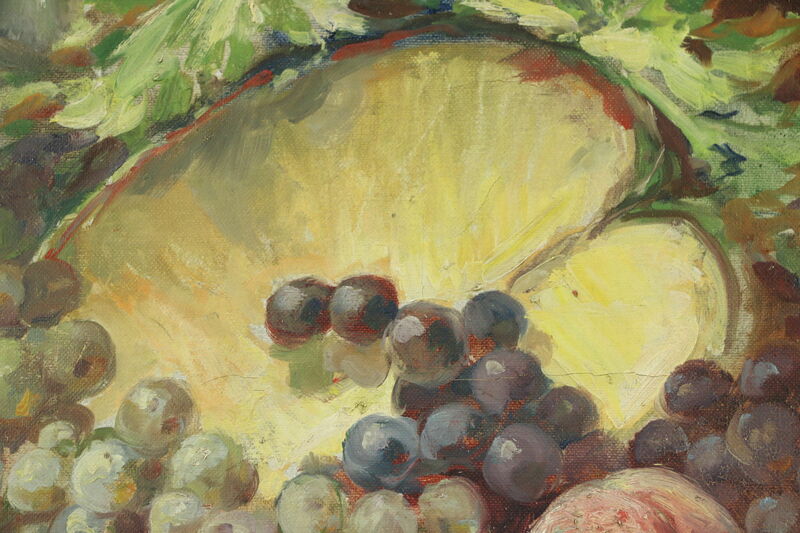 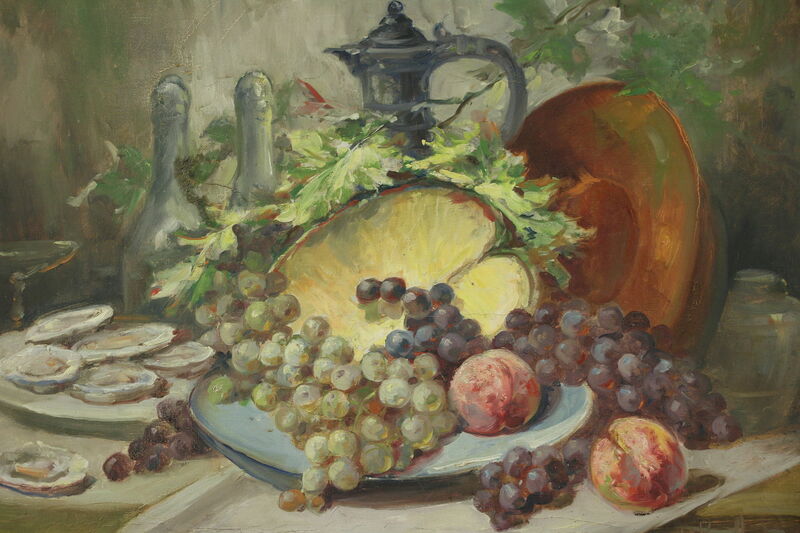 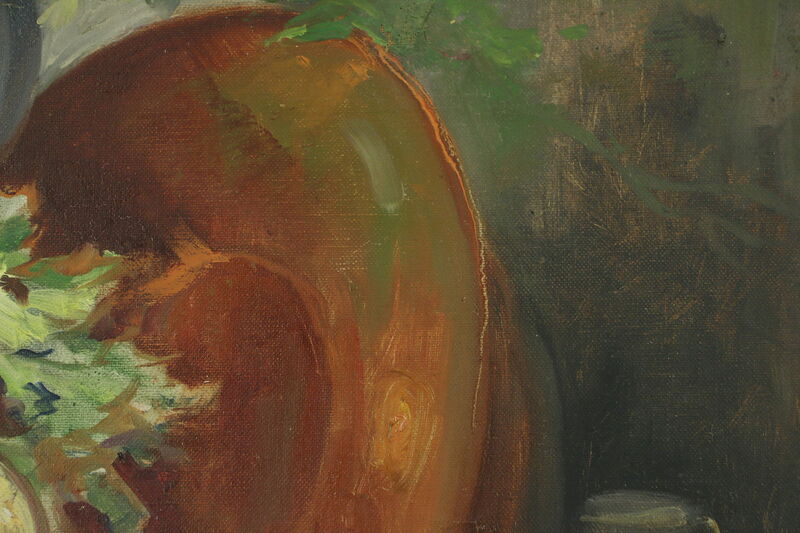 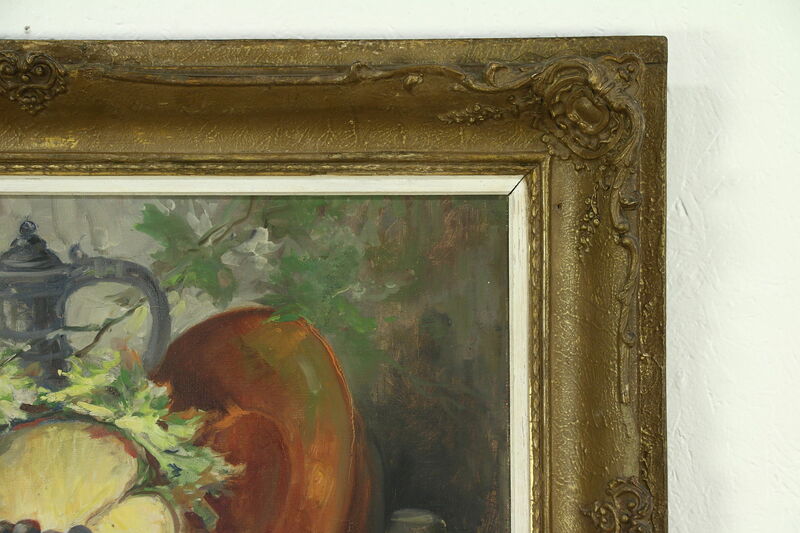 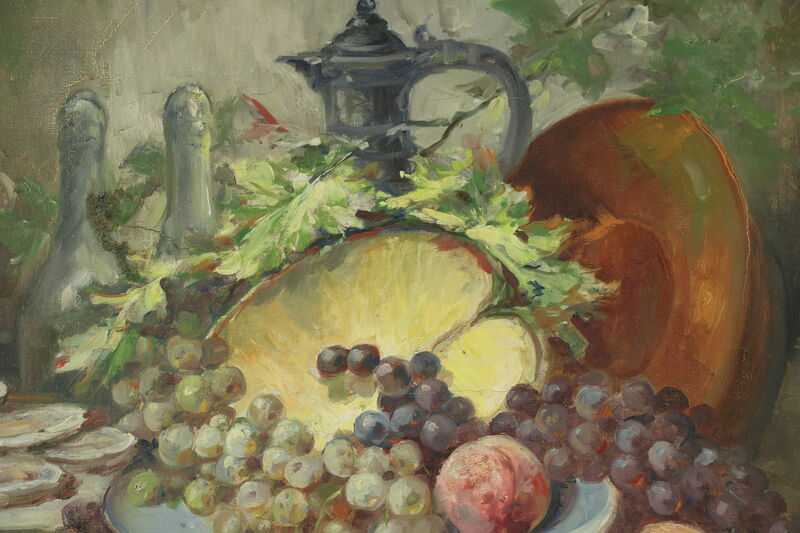 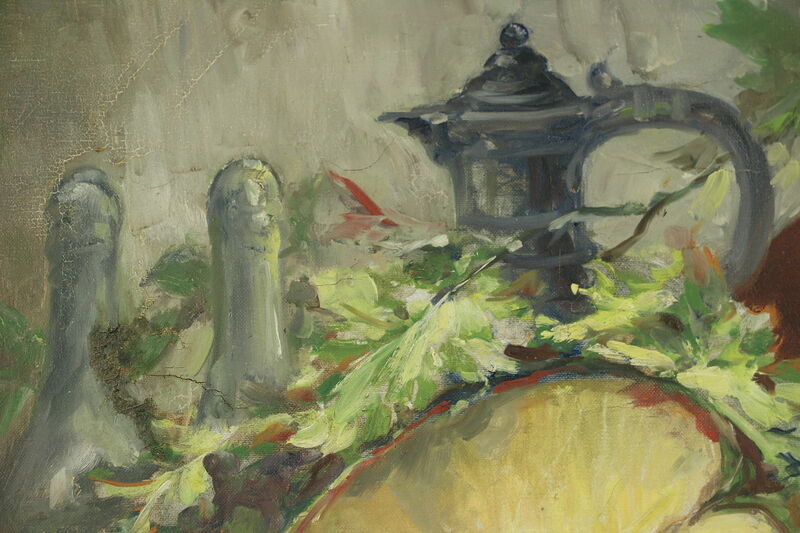 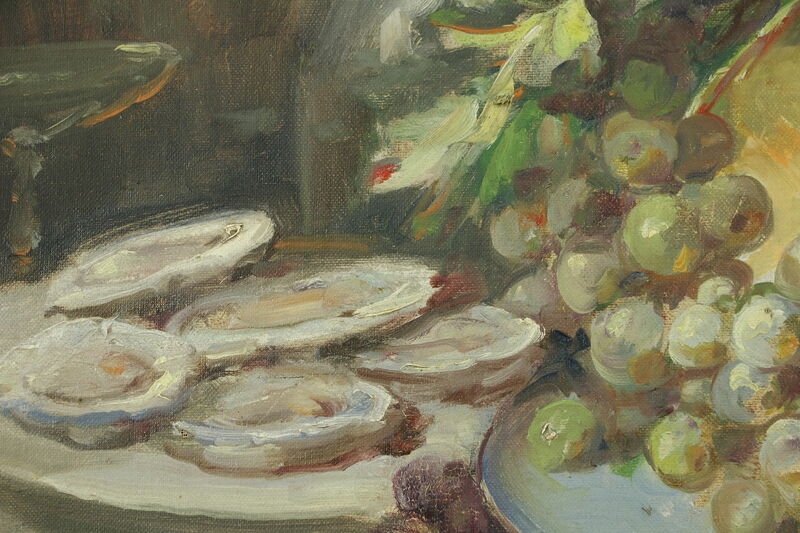 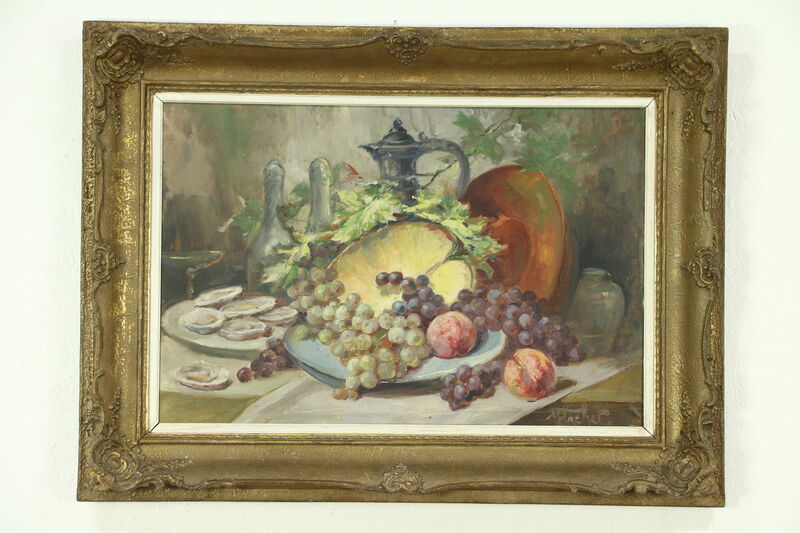 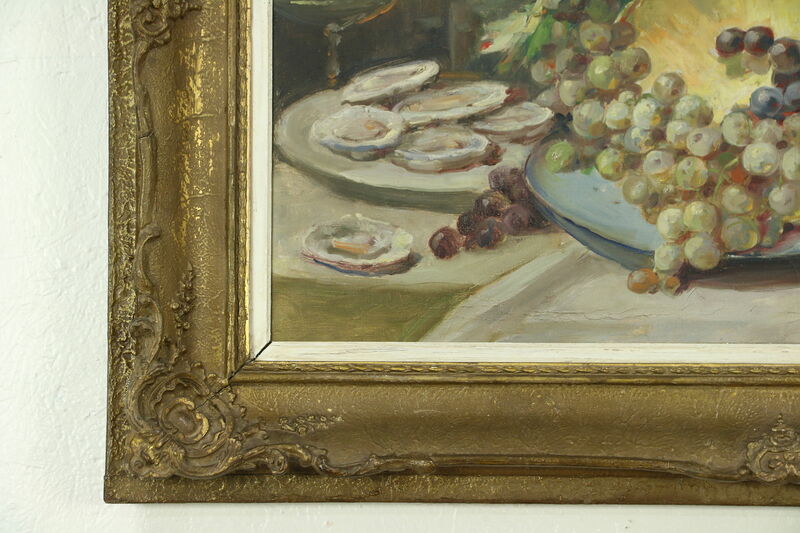 A lovely still life of oysters and fruit is the subject of an original oil painting from around 1900 with an illegible signature. 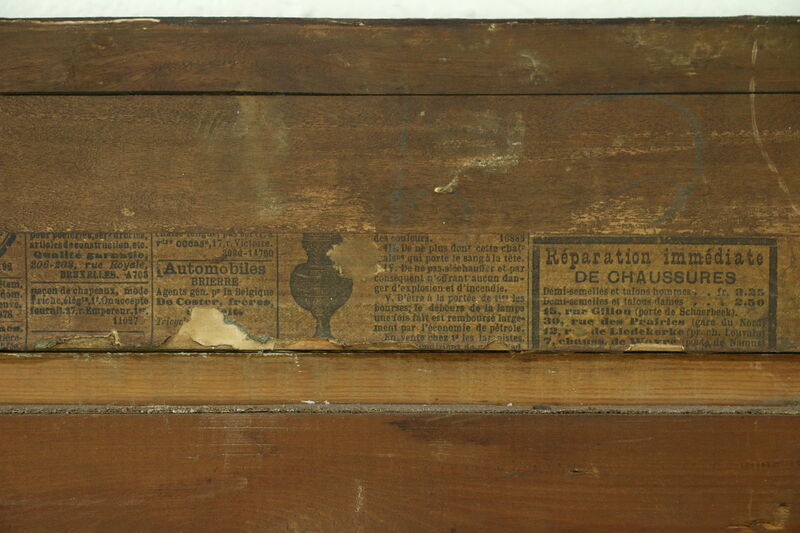 Brought from France, there are fragments of old French newspapers on the back of this work of art. 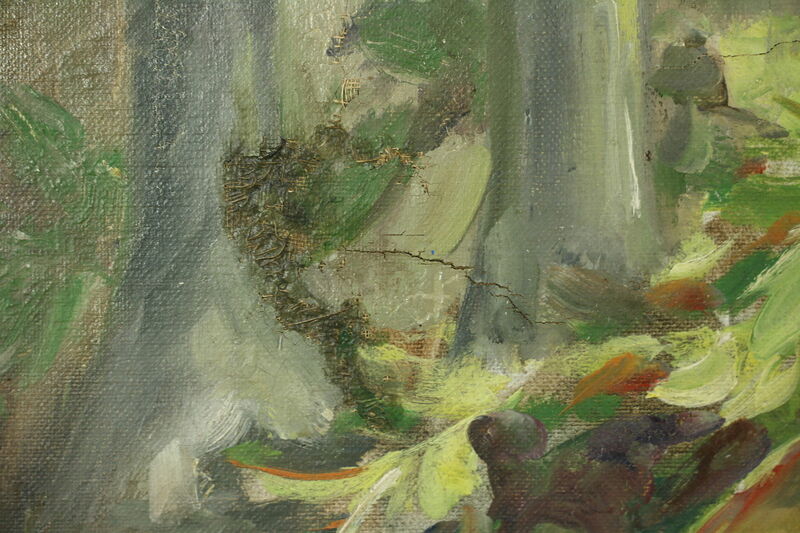 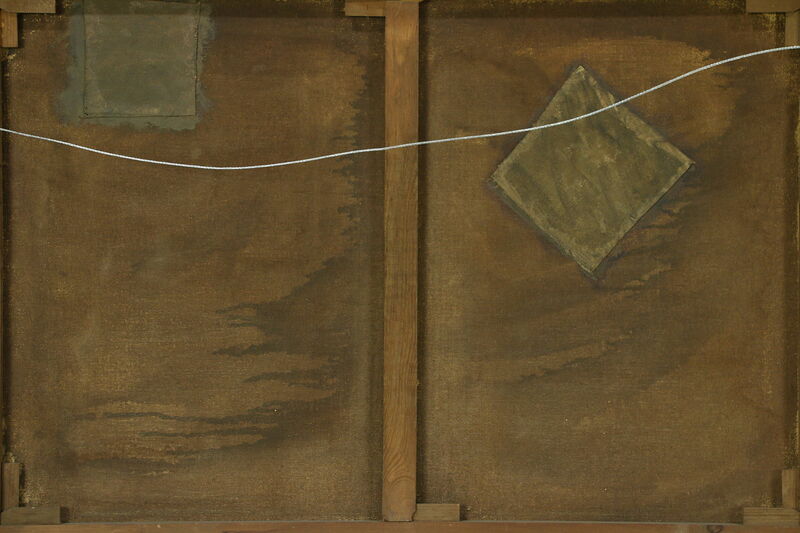 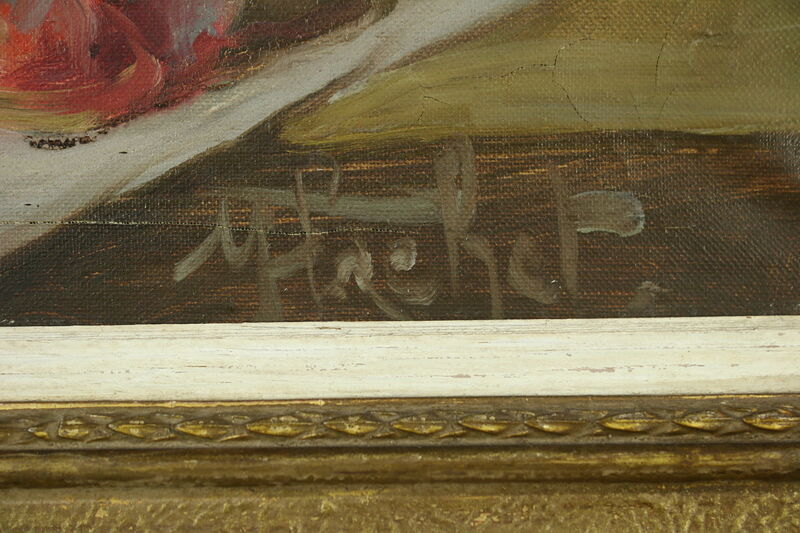 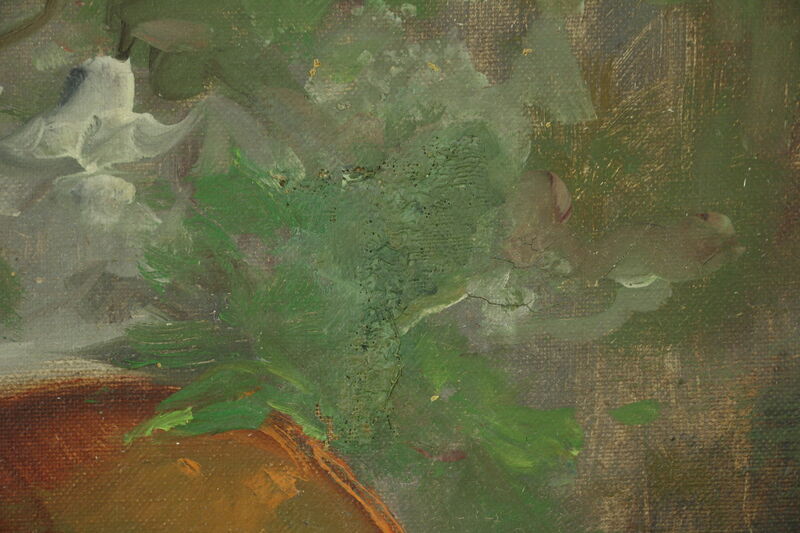 The canvas has two repairs, see photos. 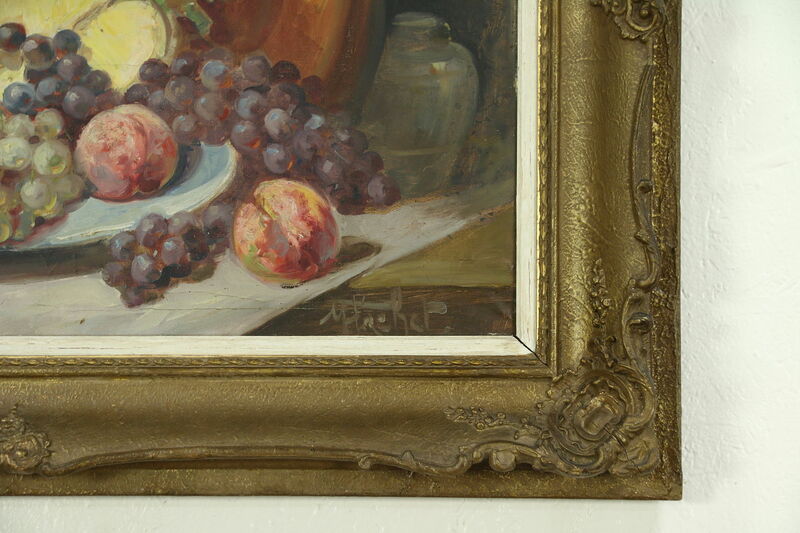 Richly carved, the frame has a dark bronze toned finish with various restorations over the years. 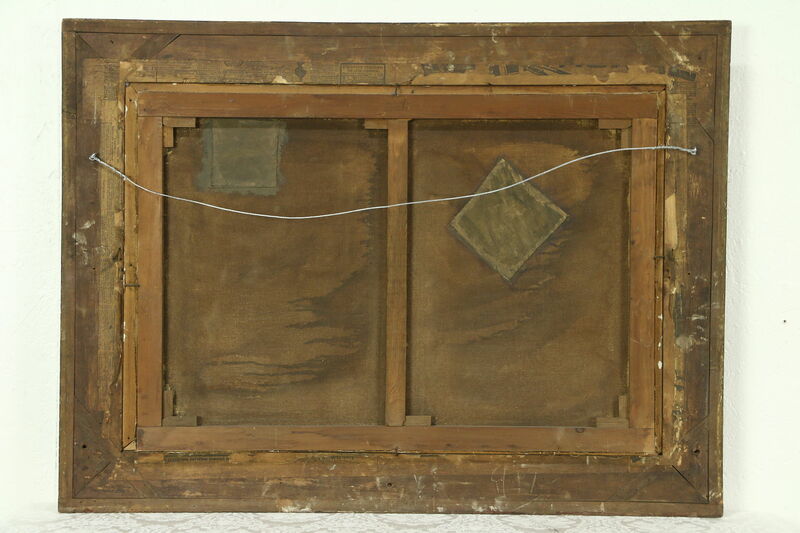 Overall size is 38" wide, 29" tall and 3" deep. 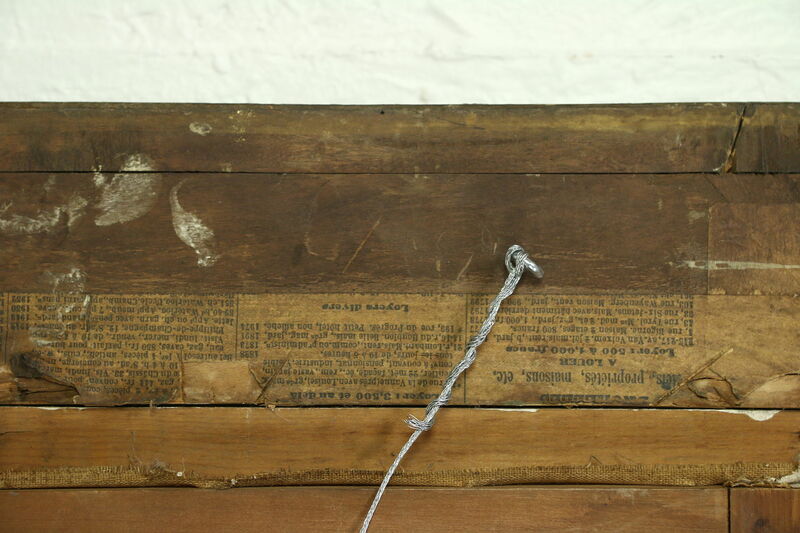 Shipping is $75 in the US.